When entering into a new relationship we are usually thinking positively, excited about new beginnings and looking forward to a future filled with rainbows and butterflies. We very rarely take the time to ask about our new partners background or even delve a little deeper into the reasons why they are single...at this point it doesn't really matter. The problem many girls find themselves faced with is a controlling or abusive boyfriend a little further down the line. Being completely blind sighted (as it usually happens this way) we start to doubt ourselves and don't really know where to turn. How do we know we are ending the relationship for the right reasons? Are we doing the right thing? 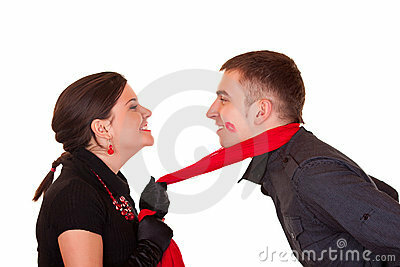 1.Attached At The Hip - many controlling boyfriends behaviour is sparked by their inability to trust. Someone who has to control another always needs to be around to watch what they are doing and to ensure that their partner is only having a "good time" when he is around. If you are in a relationship with someone who insists on always being there and not allowing you any time to yourself, then you are a victim of a controlling boyfriend. 2.On His Terms - if your boyfriend is always making plans without including you in the decision making process, then this is a major sign that he has controlling habits. If he is constantly turning down invites and opportunities to attend events that you have interest in and you always seem to be attending events he has interest in, then chances are you have a controlling boyfriend. 3.Interrogation - a controlling boyfriend is a great fan of interrogation. If you do find a moment to yourself, spend some time with the girls or arrive home a little later than expected, prepare to be asked a lot of questions as to where you were, who you were talking to and why you took so much longer than the average person would. Be careful of being in this type of relationship which usually makes you feel humiliated and as if you are in fact in the wrong. 4.Always Right - regardless of the situation or argument, the controlling boyfriend will never admit to being wrong. This is often also linked to breaking the partner down by making them believe that they are always wrong or doing something wrong. When in this type of relationship, the controlling boyfriend will swiftly change the subject to all the things you may do wrong or have done wrong in the past. 5.Confidence Battering - the controlling boyfriend will be well aware of when you are feeling stressed and a little down. He will use this as an opportunity to "save the day" or sometimes even ridicule you or make you feel silly for even believing you could do something successfully on your own. This can range from social situations to work decisions that you may have made. Breaking down ones confidence can have serious and long lasting effects. 6.Snooping - a controlling boyfriend is usually a professional snoop. He can often be found looking through your emails, sneaking a few peaks at your cell phone messages and even reading your mail. This type of behaviour in a relationship shows his need to control and always be in the know, along with a lack of trust. 7.Isolation - when you find yourself in a relationship with a controlling boyfriend, you will find that he will try and isolate you from your family and friends. This will start usually with general disinterest in them to obvious dislike and will sometimes even try to convince you that they do not love you or care for you and are possibly even out to get you. While it would be silly to jump to action if your boyfriend is coming across as insecure, if he is showing one or more of these signs, chances are you need to start considering your options. Everyone deserves to be loved, respected and trusted. If you feel you are in a controlling relationship, consider taking control of your life and taking a step back so you can have a closer look. Pride can get in the way of people accepting that their partner is controlling. This article is great for allowing people to admit to themselves and others that their boyfriend is overly controlling and this will allow them to do something about it. Some of these signs of a controlling boyfriend are not obvious and it is therefore good that they are pointed out in this article. By dealing with a controlling partner you can begin to feel a lot happier and more confident in yourself. It could really change your life in a positive way. Signs of a Controlling Boyfriend: Is He Showing These 3 Signs Of A Controlling Personality? Signs of a Controlling Relationship: Are You Stuck In A Controlling Relationship?